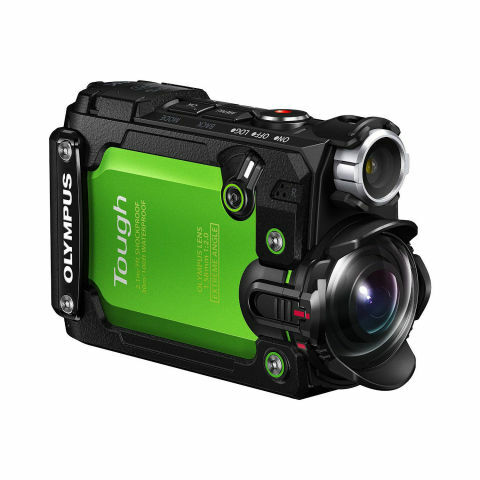 The Olympus Tough TG-Tracker is a great pick from one of the most storied names in photography. The camera has an ultra wide-angle stabilized lens, five built-in sensors (GPS, compass, barometer, accelerometer, thermometer), and Wi-Fi connectivity. It can capture 4K content and survive water up to 100 feet in depth without a housing.